The 8090 and 8590 Series are four-door stainless steel commuter-type electric multiple units designed by Tokyu for the Tokyu Toyoko Line. 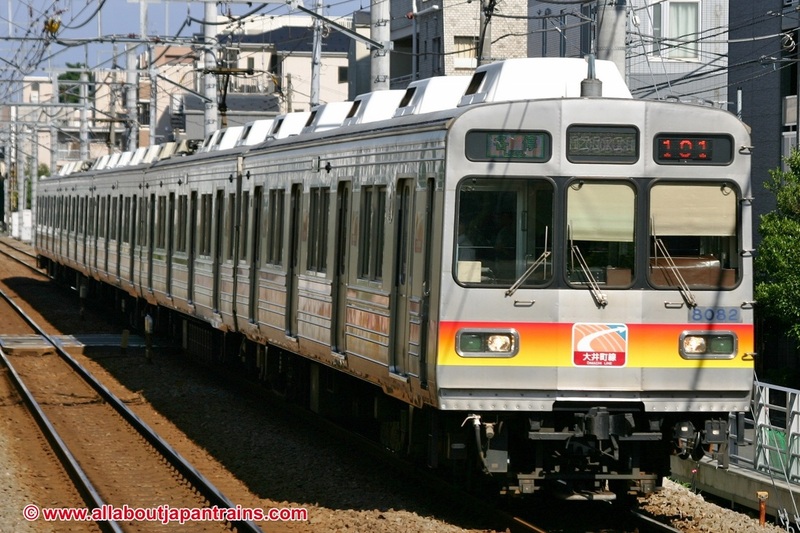 The 8090 Series was Tokyu's first train to use computer design and was also the first mass produced light-weight stainless steel train built by Tokyu. The new design abandoned the walk-through doors on both ends of the train that were featured on the 8000 and 8500 Series, giving it a very different appearance. It also got rid of the corrugated side panels because they were no longer necessary to prevent strain on the metal. Instead, the body of the 8090 Series broadens out towards the bottom and then narrows which has the same effect. 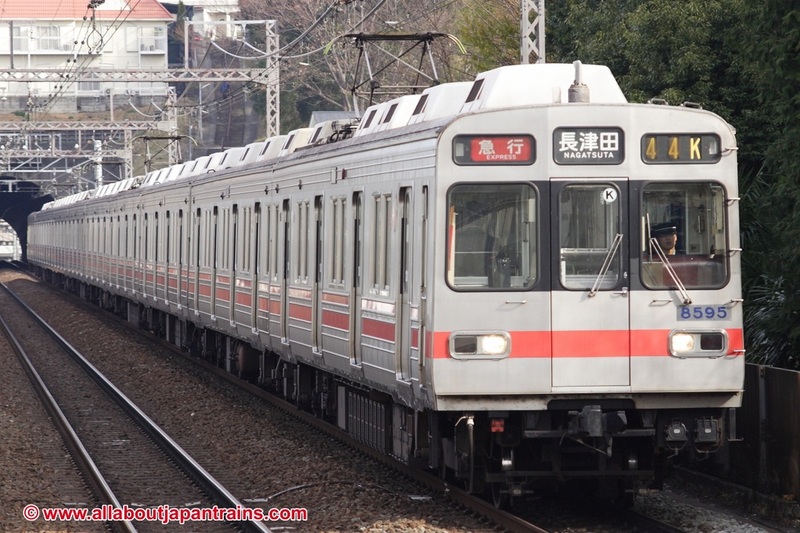 These trains were originally operated on the Toyoko Line from Shibuya Station to Sakuragicho Station in Yokohama. 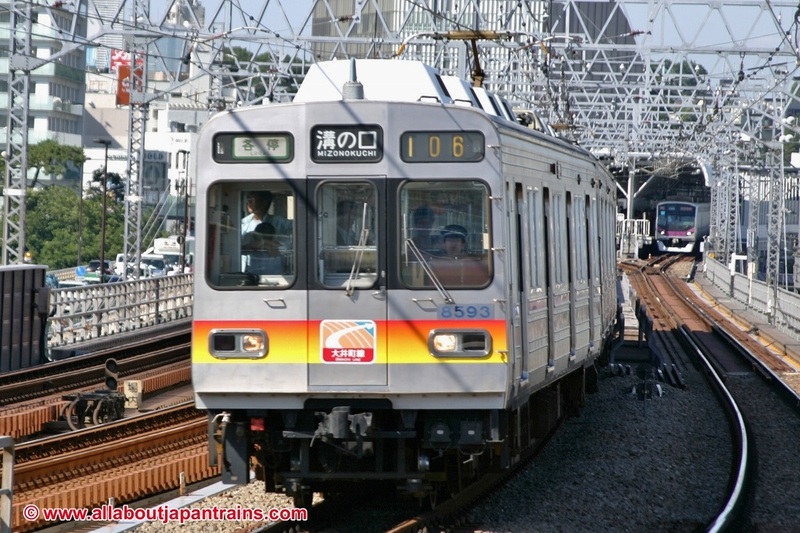 It was later decided that the Toyoko Line would connect with a new underground train line (Minatomirai Line) and new motorized end cars designated the 8590 Series were introduced. These trains have an emergency door on each end and with their introduction, the number of motorized cars in each formation was increased from five, to six. 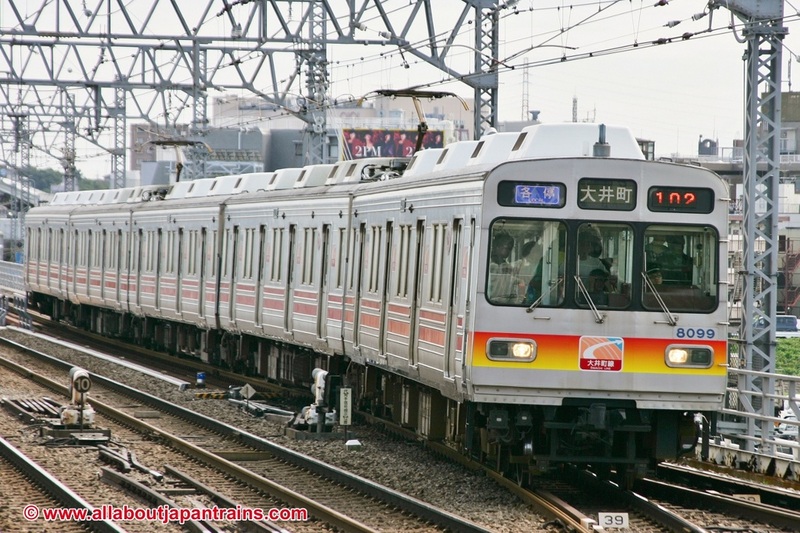 The 8590 Series can currently be seen operating during the morning and evening rush hours on the Denentoshi Line, and all day long on the Oimachi line. Trains that have been moved to the Oimachi Line have had their pantographs replaced with the single-arm type.